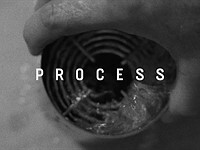 A quick look into the purposefully slow work of analogue photographer Scott Folsom. 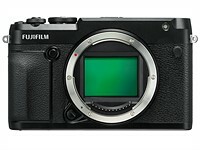 At Dubai's recent Gulf Photo Plus event, Fujifilm showed off several of its early concept mockups for GFX cameras that (sadly) never made it into production. We took a closer look. 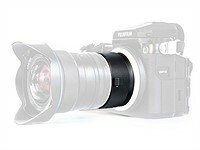 We're at the Gulf Photo Plus event in Dubai, where Fujifilm has given attendees a sneak peek at a working prototype of its upcoming 100MP medium format camera. 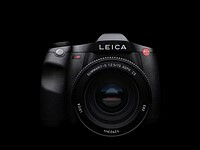 Leica has announced the S3 medium-format camera – an S2 successor with a 64MP sensor capable of 4K video. 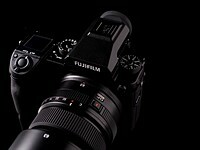 Fujifilm has announced its GFX 50R, a rangefinder-styled version of the company's GFX 50S medium-format camera. 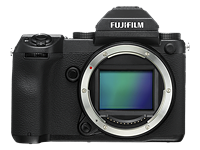 The 'guts' of the two cameras are the same, with the difference being the design, weight and Bluetooth, all at a considerably lower price. 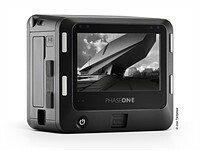 Phase One has introduced its new Infinity Platform and XF IQ4 digital back, which have the core functions of its Capture One software embedded in the cameras' processors. 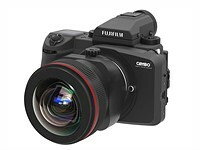 Three models will be available, including 150MP color and monochrome backs, as well as a 100MP color model. 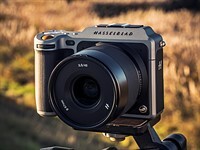 The Hasselblad X1D-50c is a mirrorless medium format camera from one of the most famous camera brands of the 20th century. 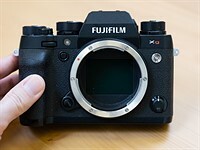 Following a series of feature-enhancing firmware updates we've been able to complete our review. 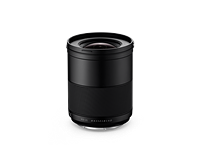 Hasselblad is finally releasing the previously announced XCD 21mm F4 lens for the mirrorless medium format Hasselblad X1D system. 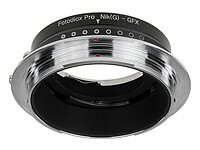 According to Hassy, the 17mm full-frame equivalent lens is the company's widest lens ever. 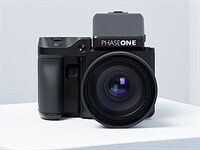 Phase One Industrial has launched an aerial camera that uses what the company describes as the world’s first backlit medium format sensor. 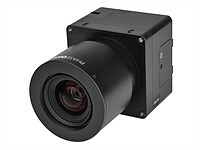 The iXM 100MP is part of a new iXM system of cameras and lenses designed to be used attached to drones or manned aircraft. 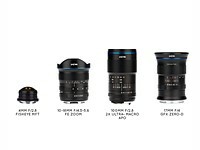 Venus Optics has unveiled four new lenses that will ship later this year: a wide-angle zoom for Sony FE, a circular fisheye for Micro Four Thirds, a wide-angle lens for the medium format Fujifilm GFX, and a 2x Ultra Macro for multiple full-frame mounts. 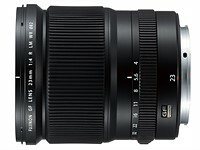 The longest telephoto lens in Fujifilm's medium format lineup has arrived with the introduction of the GF 250mm F4 R LM OIS WR. 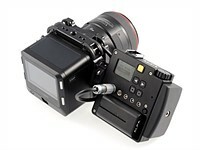 The lens features image stabilization, a linear AF motor and a weather-sealed body. 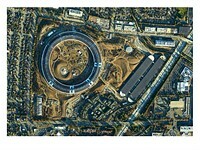 It will be available in late May for $3299. 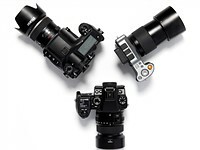 Fujifilm is set to ship three new lens accessories for its GF medium format system. 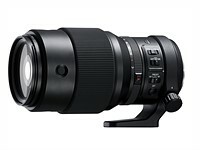 The 1.4x teleconverter is designed for use with the new 250mm F4 lens, while the two extension tubes allow for higher magnification ratios with any GF lens. 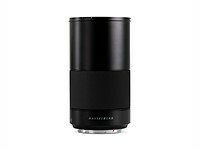 Hasselblad has introduced its next-generation multi-shot camera body, built to shoot 400-megapixel photos by using sensor-shift technology to combine up to six exposures into a single monster image measuring 23200 x 17400 pixels. 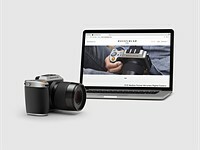 The new online 'Hasselblad Store' is officially live for residents of the USA, China, UK, Germany and France, allowing customers around the world to skip the third-party vendors and buy their next medium format camera straight from the manufacturer. 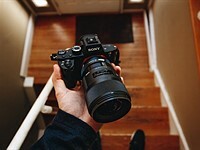 Sony's recently announced IMX461 backside illuminated medium format sensor will bring 100MP resolution and almost 2x the speed to the next-gen Fuji GFX and Hasselblad X1D. 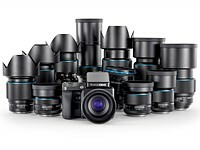 With the ‘Rent a Hasselblad’ camera equipment renting program, the camera makers is aiming to give enthusiast and professional photographers easier access to its medium-format photography products. 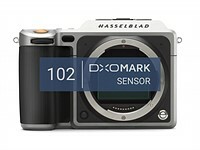 The mirrorless medium format Hasselblad X1D is officially the highest rated camera DxOMark has ever tested, 'crashing through the 100-point barrier' with an overall score of 102. The Nikon D850 isn't the first camera to hit triple digits on DxOMark; in fact, the Pentax 645Z was listed at 101 all the way back in 2015. So why was the full review never published? 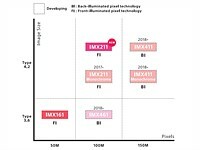 DxOMark explained earlier today. 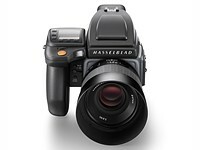 If you'd like a 100MP Hasselblad digital back, but don't care to buy the camera body that typically comes with it, you're in luck. 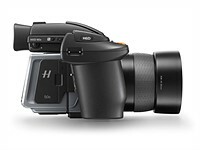 Hasselblad just made the 100MP H6D-100c available as a standalone product. 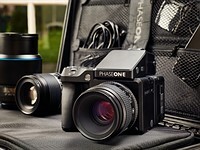 Phase One has released a new 100MP digital back called the Trichromatic. 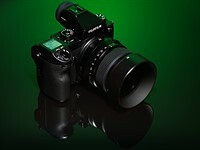 Designed with Sony, the IQ3 100MP Trichromatic promises "unsurpassed color quality." 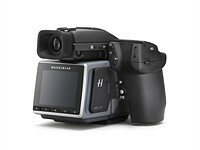 Hasselblad just dropped the price of the medium format H6D-50c AGAIN. 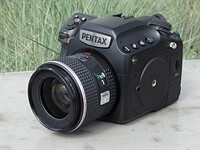 At just $14,995, the camera is now selling for a whopping $11,000 less than the original retail price. 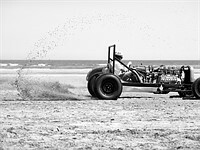 Photographer Rick Wenner recently captured an odd event called the Race of the Gentlemen with a rather odd camera: The Phase One XF IQ3 Achromatic, the world's only 101MP black-and-white digital back. 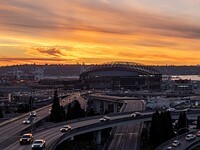 Go behind the scenes with photographer Richard Thompson and PhaseOne to photograph one of the most intense cars in the world with one of the most intense digital cameras in the world. It's been a crazy day for innovative patent news. 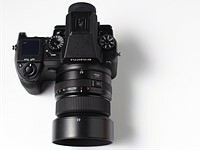 Apparently Sony is thinking of developing a medium format curved sensor camera. 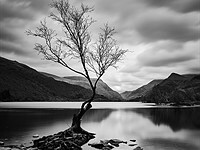 Image compression software JPEGmini Pro was just updated to handle files up to 128MB. 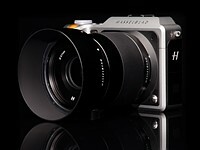 They're calling it "The 1 Feature Hasselblad Owners Actually Need." 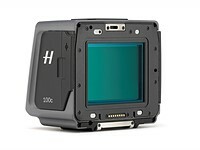 The 50MP H6D-50c medium-format DSLR has been reduced from $25,995/£22,680 to $17,995/£15,900 adding up to a savings of $8000/£6780. 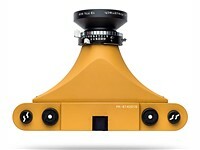 It's nicknamed the 'Cycloptic Mustard Monster,' and is a 3D printed medium format camera. 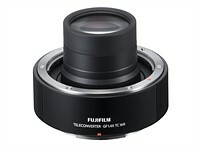 The Magic Format Converter comes with internal optics that expand the image circle of full-frame DSLR lenses for use on the Fuji medium format camera. 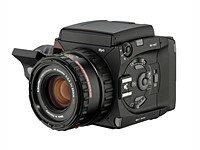 DW Photo is attempting to resurrect the Hy6 medium format camera, though the legal tangles of its development may stop it being branded Rolleiflex. 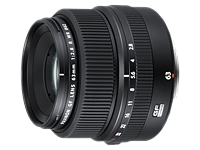 It works with the company’s 12 series bodies and brings aperture control to electronically operated lenses from Canon and Nikon, as well as Contax, Hasselblad and Rollei. Check out all those glorious details.